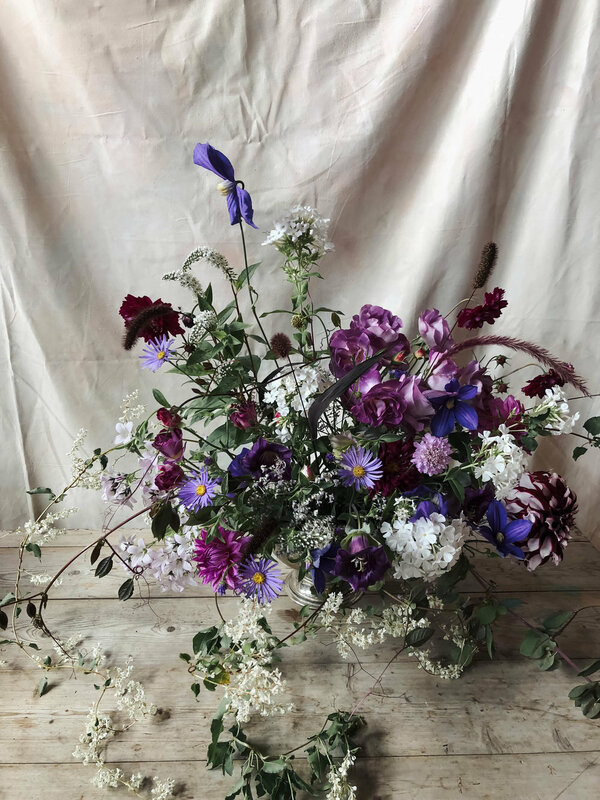 Vervain is based in Worcestershire, we specialise in creating wild romantic, natural wedding and event flowers for our clients across the UK and beyond. We cater for couples and clients that want flowers that create an impact and express the atmosphere of their special day. We always strive to understand every element of our client’s event, from the style of their dress to the colour of their linens, helping us to design floral pieces that will compliment their event and transform the space they are in. Vervain was founded by India Hurst, a floral designer and grower. India's background in art and design and her family history in horticulture help to inform her work and drive her passion for flowers. When not working on exciting new projects with her clients or teaching India is often found creating personal work amongst her flower beds, taking the time to hone her skills and push herself creatively. We think flowers and foliage with bending stems and curling petals make our work even more beautiful and unique, which is why we grow a proportion of the flowers we use in our work, having that connection to the land and nature is a big part of what Vervain stands for. Vervain’s work is about celebrating the natural fleeting beauty of flowers and foliage. We create work that is an expression of the relationship with the natural world, being inspired by the surrounding landscape and reflecting the changing seasons throughout the year.